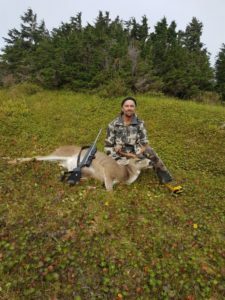 2016 was another great season for our hunters. We only had 2 spring bear hunters but they both had good hunts with lots of bears spotted. Bill Stirling returned for his 3rd hunt with us and passed on a couple of nice bears looking for his 10 ft. giant. 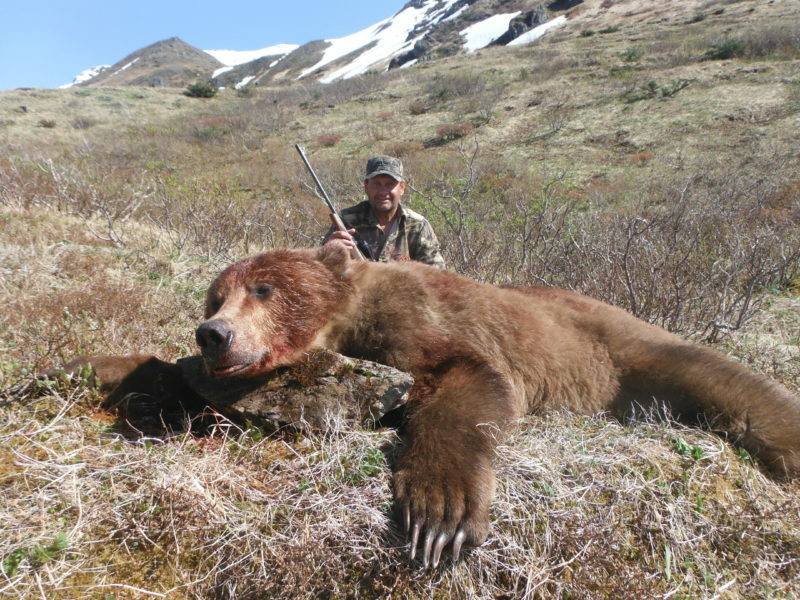 Bill killed a very nice bear with us several years ago and enjoys the hunting and the country. 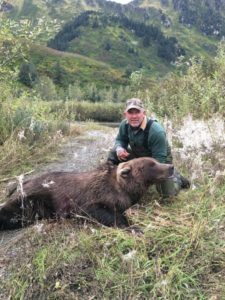 Myron Rapp took both his black bear and brown bear within 12 hours of each other on the 9th day of his hunt, once again showing the value of persistence. 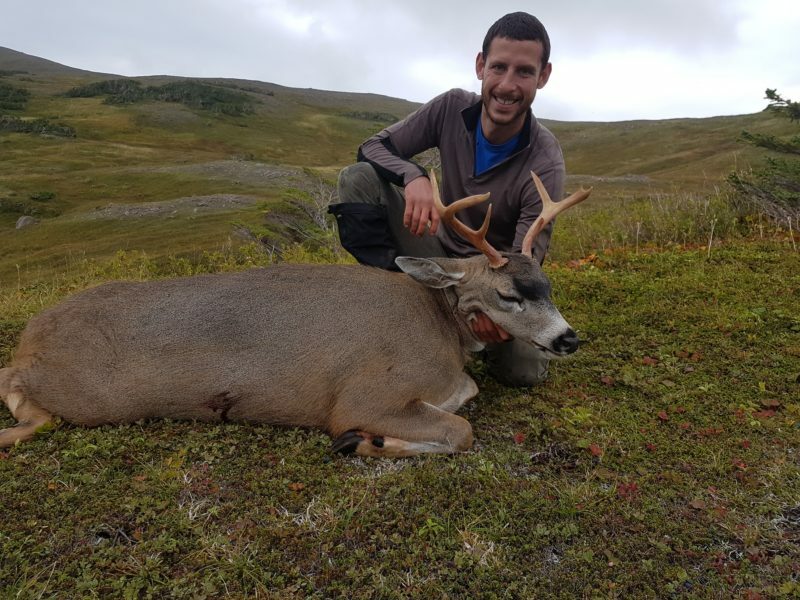 The summer flew by with a relatively poor salmon season, but packer Jimmy Paley and myself were able to get out on Hinchinbrook Island for some exercise and blacktail deer hunting in August. We got 3 bucks in 2 days and could have limited out if we wanted. 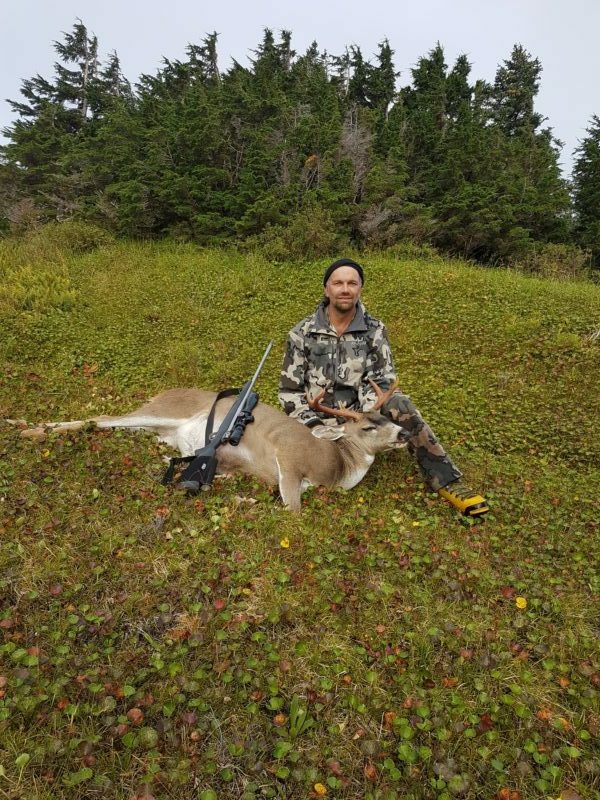 The deer are doing very well after the mild winters we have had over the last 3 years. 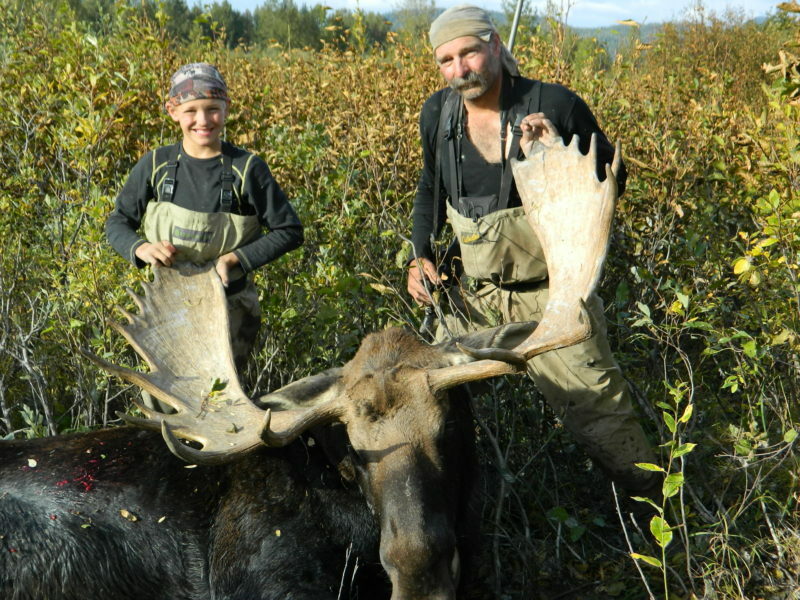 Fall came in very quickly like it always does and my good friend, Todd Shallbetter and his 11 year old son, Coleman, had each drawn moose tags for the Bering River area. 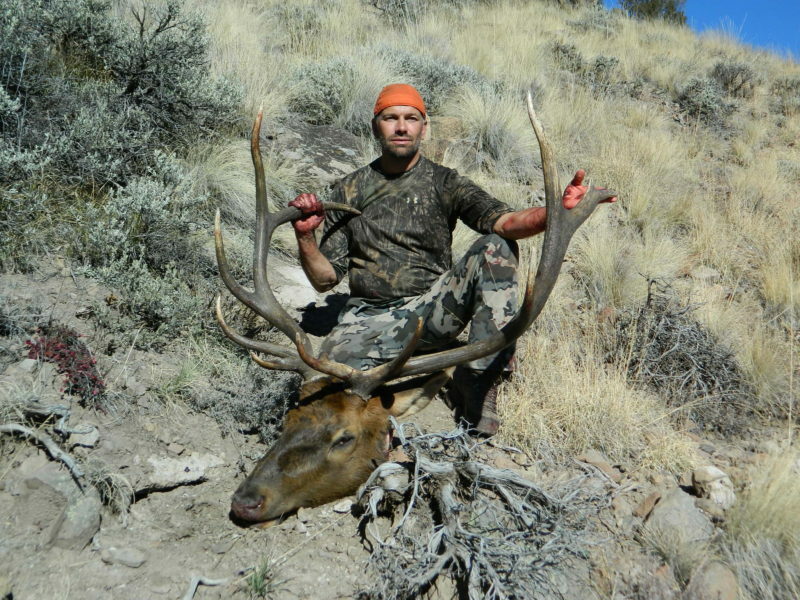 Coleman took a nice bull on the second day of the hunt and Todd got his on day 5. It was very enjoyable to watch this young man take his first big game animal. 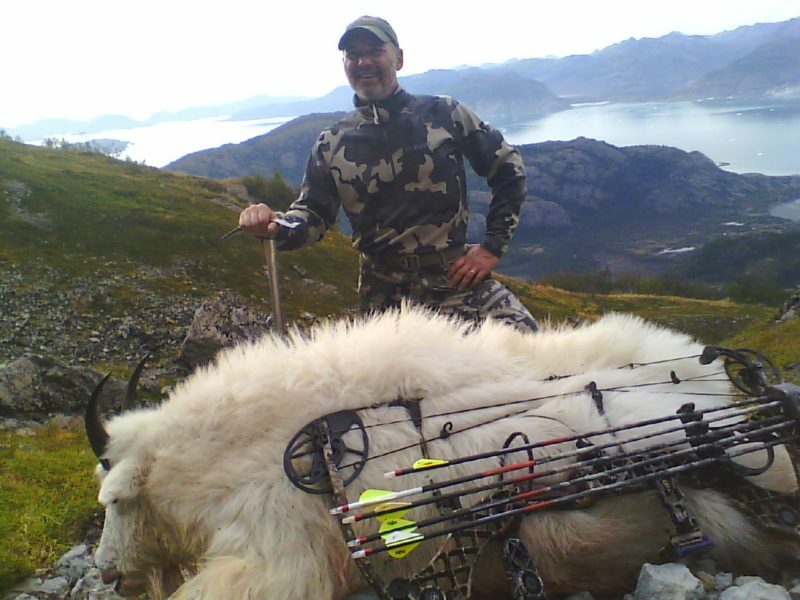 Bart Byrd hunted with veteran guide, Zach Richardson and took both a brown bear and his second mountain goat on the same hunt. 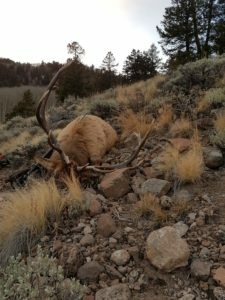 Our weather was pretty cooperative, which makes a big difference. 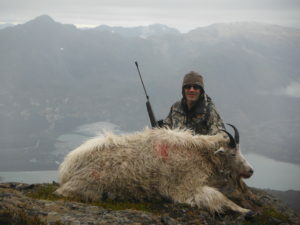 We had 8 mountain goat hunters and took 7 mature male mountain goats. Unfortunately the 8th was hit and not recovered. 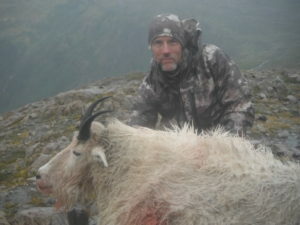 Mike Sokol came back for his 5th trip with Lonesome Dove Outfitters and took his second Billy goat with a bow. 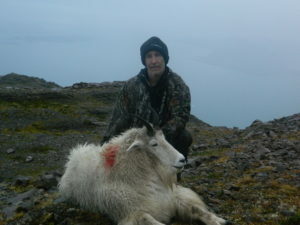 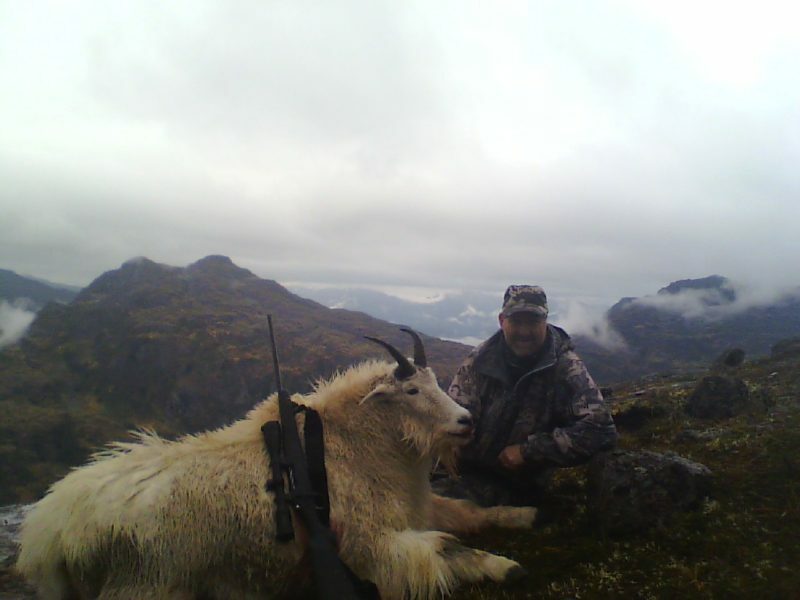 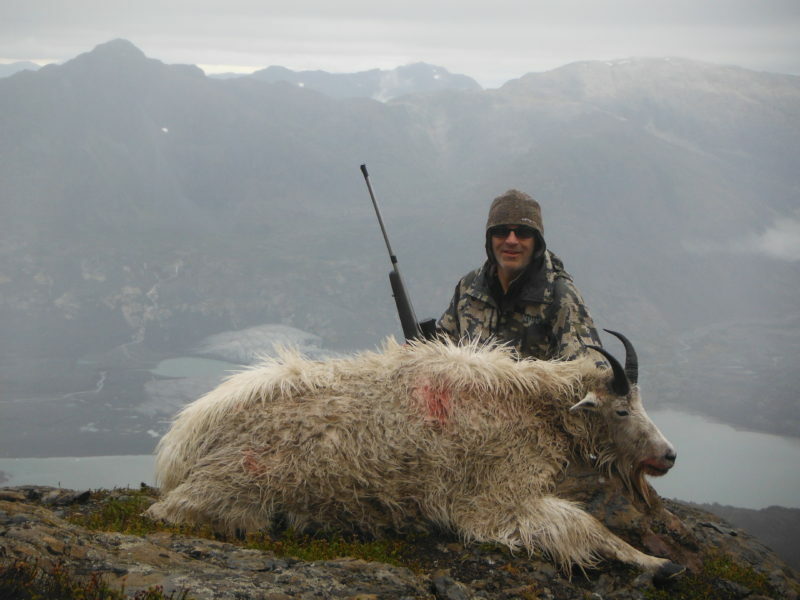 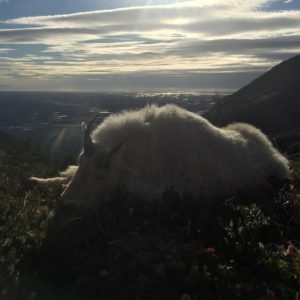 After the season, Jimmy Paley and guide Bryan Gallagher both participated in our local Cordova mountain goat hunt and both took very nice Billies also. 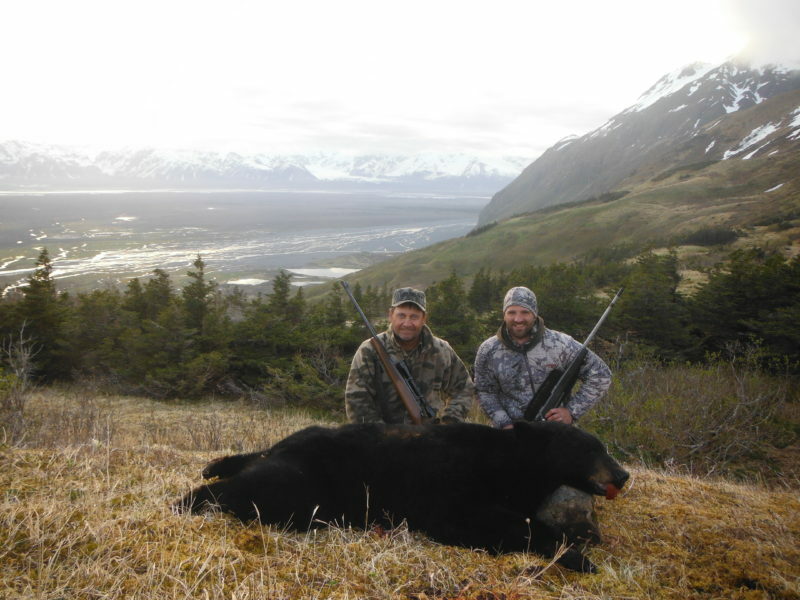 This area is closed to guided hunting and provides good opportunity for the local resident hunters. 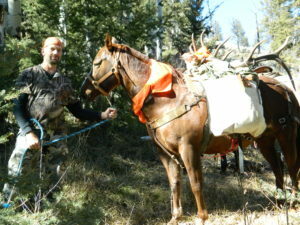 I also included a couple of pictures of the elk I harvested in Colorado. 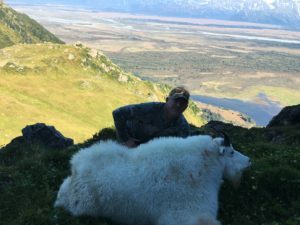 I spent 25 days total in the field chasing elk for myself and with friends, and it was the worst elk hunting I have ever experienced. 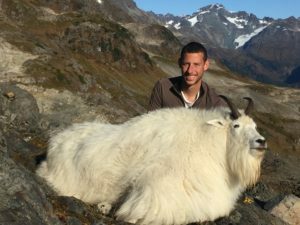 I will expand more on this in a Journal post. 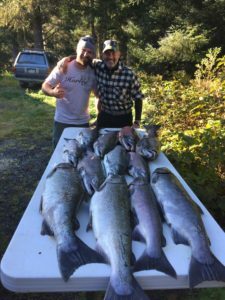 While our mild winters are somewhat miserable and depressing with more rain than snow, they have been very good for the survival of the game we pursue. The mountain goats have never been better, and the quotas are going up in 2 of our main units. Every nanny seems to have at least one kid and the old males are living longer and getting bigger. 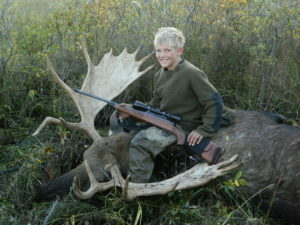 I already mentioned how well the deer are doing as well as the moose. We have all of our hunts booked for 2017, but have availability for 2018 and beyond. 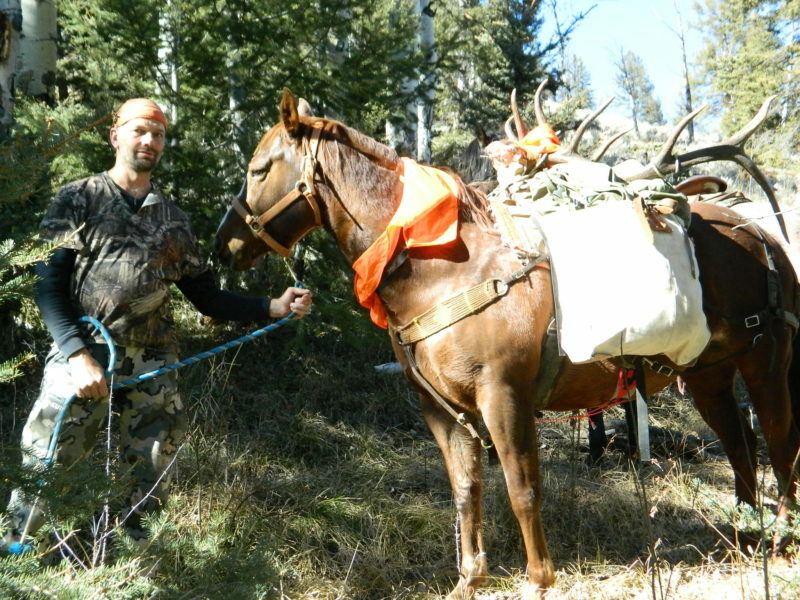 We do not participate in the show circuit, but we encourage you to check out our operation before put down a deposit with someone else. 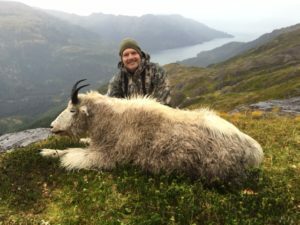 We have the same excellent guides and packers working for us and they just get better every year. 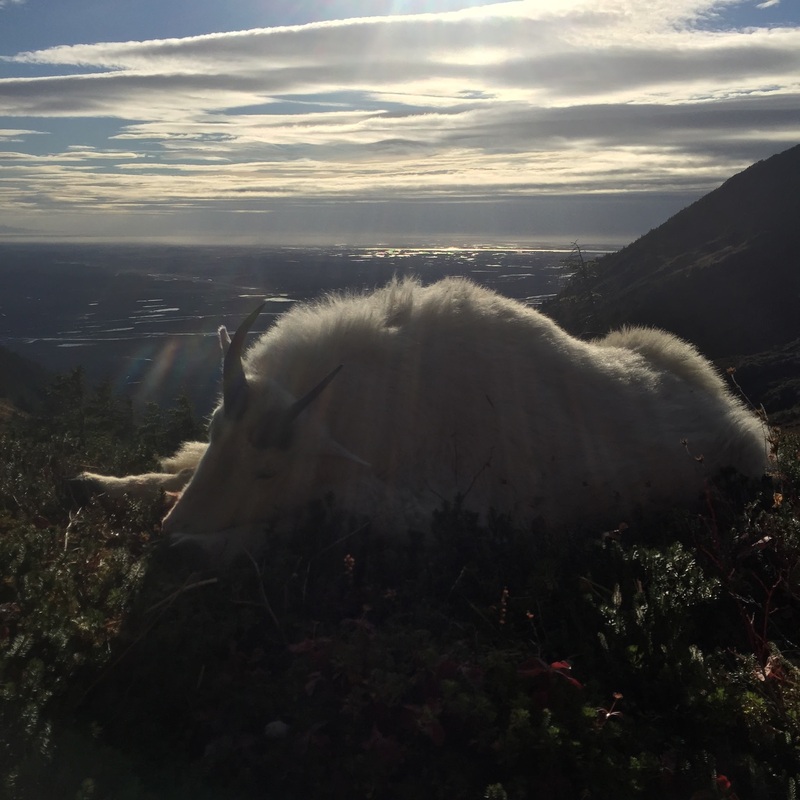 May 2017 bring happiness and prosperity to everyone!